Everyone’s so caught up in “smart”-things these days, we sometimes forget to check if they are even useful. From our phones to our wrists, there are many new health devices and apps out there, from several different companies who all want a piece of your fitness journey. You can find watches to track your daily movement and calorie burn, runs, your sleep cycle, heart rate, and sync to your phone to bring you notifications via Bluetooth. Sounds useful, but the bad news is that almost any of these smart devices will run you at least $100, sometimes upward of $300 if you want all the bells and whistles (read: Apple Watch). So what do you think? Is it worth a big purchase, or can you get in shape just fine without the assistance of technology? As a sensible person I tend to err on the side of not purchasing expensive toys unless I’m fairly certain they will save me time or money in the long run. That’s why I thought very long and hard before finally deciding to fork over the cash for a fitness tracker of my own. I went for the Misfit Shine – the only fitness tracker on the market that has a 3 month+ battery life, is fully waterproof, tracks calorie burn for multiple sports and activities, and also tracks sleep. I’m primarily a runner, but I do frequent the lap pool as well, and I was sick of not knowing how my pool workouts went. Unfortunately this device can’t track exact mileage or pace (I still use my iPod Nano with Nike+ integration for super-accurate run data). But it does get in the ballpark of your calories burned during that time. The other cool thing about this tracker is that it looks good. Misfit wants all their products to have a fashionable vibe that can be worn throughout the day (they even have a Swarovski crystal tracker for the superstars among us). The device itself is just a metal disc about the size of a quarter; you can insert it into one of several watch bands or a necklace, or just clip it onto a shirt, pants pocket or jacket with a magnetic clasp. There’s no screen to distract you with notifications from your phone – just 12 LED lights that circle the edge of the tracker. All you have to do is tap twice to view the hour and minute, then the lights will display progress toward your daily goal. Truth is, you don’t need a wearable device to get in shape. That doesn’t mean that my wearable device hasn’t helped me immensely in the past year since I bought it. Every day I have access to data regarding my calorie burn in real time, and an overview of how long I slept the night before. Combined with tracking everything I eat throughout the day in MyFitnessPal, this data helps me fully understand my fitness, where before I could only guess badly. Probably the best part about my Shine is that it’s proven to be incredibly durable – waterproof seal is still intact, lights still flash and the battery still lasts. It has some “battle scars” on the metal surface that can’t be polished off without harming the color finish. But overall this thing is amazing and I now feel naked without it. I opted for the Champagne color – here it is in the regular silicone watch band that comes with it. If you find yourself having a hard time with disciplining yourself to exercise frequently, or want to optimize your training schedule for any reason, I suggest taking all the following steps prior to buying a fitness tracker. Make sure there’s not a new one coming out. New devices are coming out faster than a speeding bullet these days. Odds are, if the device you’re looking at has been on the market for about a year or more, the company is already planning a new release with cool new features. Check the news and the company’s website for new product announcements before you buy – it doesn’t hurt to send a curious message to their Twitter account or info@ email address either. Compare specs based on your personal needs. Different brands make different trackers for different sports and different kinds of people. Want to use your tracker for swimming or watersports? 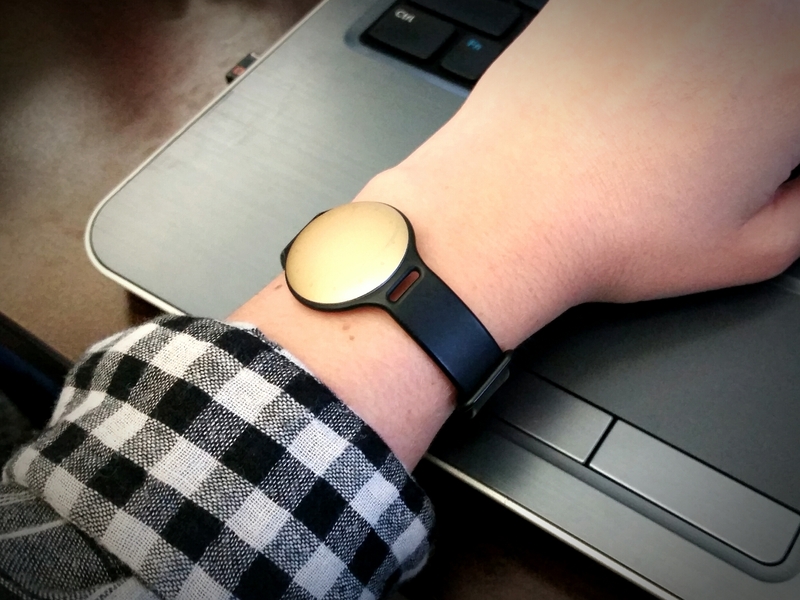 Your options have just dwindled – not a lot of the new trackers are fully waterproof. Whether you want a heart rate monitor, long battery life, a beautiful design, or anything else on your wish list, you’re going to have to compare and potentially compromise based on the limited products that are out right now, because no one tracker has it all. Research reviews and complaints from media and other consumers. Most everyone knows FitBit as the #1 brand for consumer fitness wearables right now, but you’d have to do a bit of a web search to discover that they recalled many of their bands for skin irritation problems, and are still having problems with skin rashes to this day. Or, you may find that by reading consumer reviews on the Shine, a lot of users complain about the device popping out of the watch band or the magnetic part sticking to things and getting lost easily, as it’s so small. Definitely happened to me once, so it’s a valid concern. Just do your homework and be prepared for issues as these devices are still very new! Assess your personal fitness needs, and make sure the same function can’t be covered by an app. If you really only want to track your runs, and you already use a smartphone or an iPod for music, you could already be using RunKeeper or the Nike+ app to track distance and calories. If you want to know base calorie burn for the time you spend walking around and doing everyday tasks, a tracker may be more for you. Anyone else have a fitness app or device they love? right. i agree, for someone who plays sports all the time i’m not sure what value this would have, unless you’re actively trying to GAIN weight! however they are coming out with new wearables that are specifically for weightlifting/strength training and show different kinds of metrics. i think there is one specifically for basketball too. who knows what applications they will think of next! 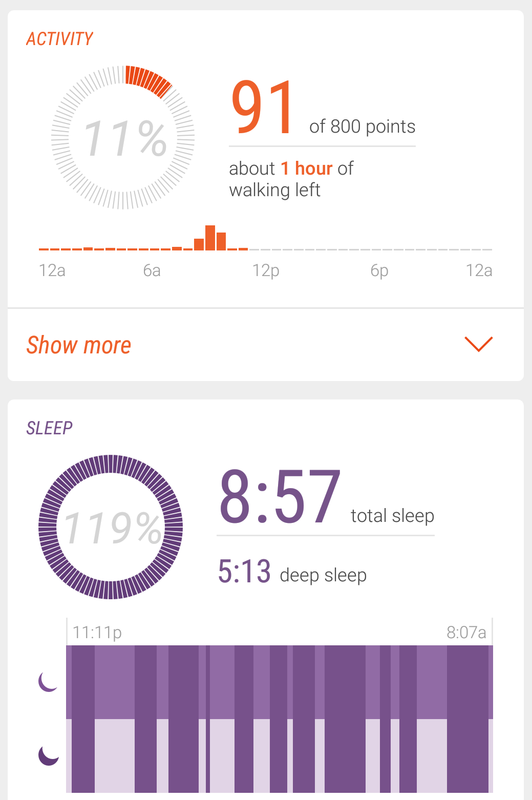 Pingback: Monday Rant/Misfit Wearables = #1 Company EVER! | Herbs & Spices.